These dies make it so easy to put a shaker together!! 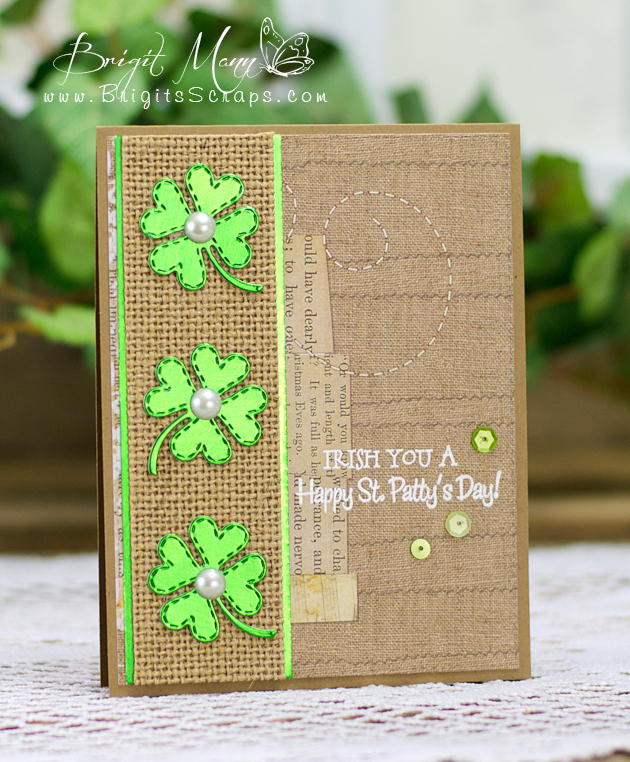 I used the Build A Scripty & Watercolor Background stamp to create the colorful background, I love how it looks. 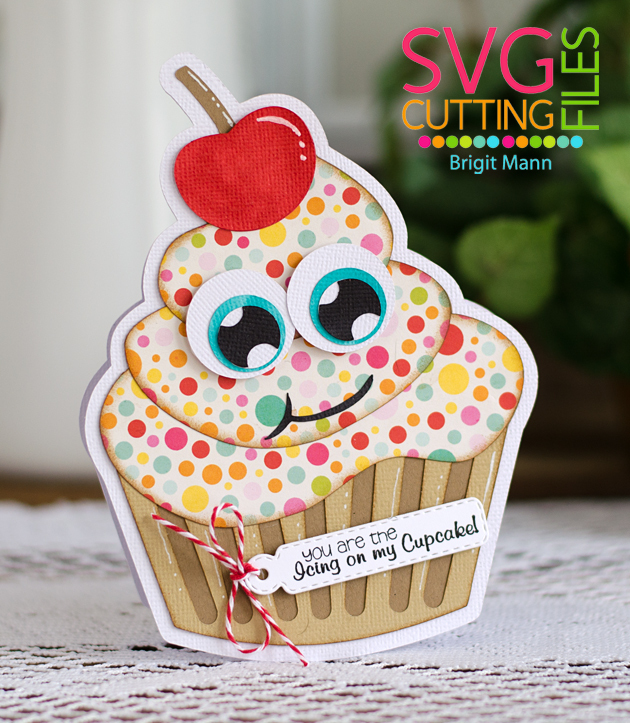 I have a card to share using a set from SVG Cutting Files! This cute little girl with umbrella is from the Let It Rain set, it comes with a bunch of svgs. I bought the Simon Says Stamps Raindrop stencil and wanted to try it out, this file was totally perfect. 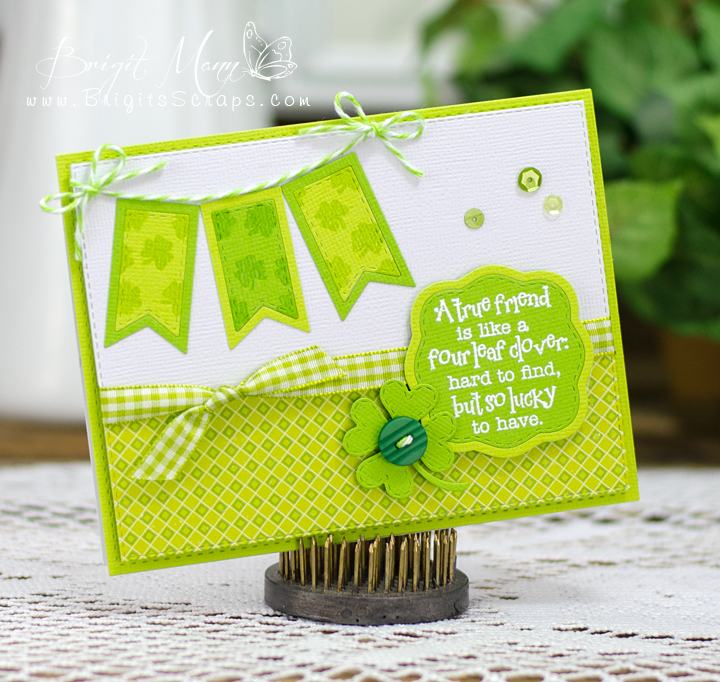 The grass and background were cutout using dies from Jaded Blossom which the sentiment is from also. 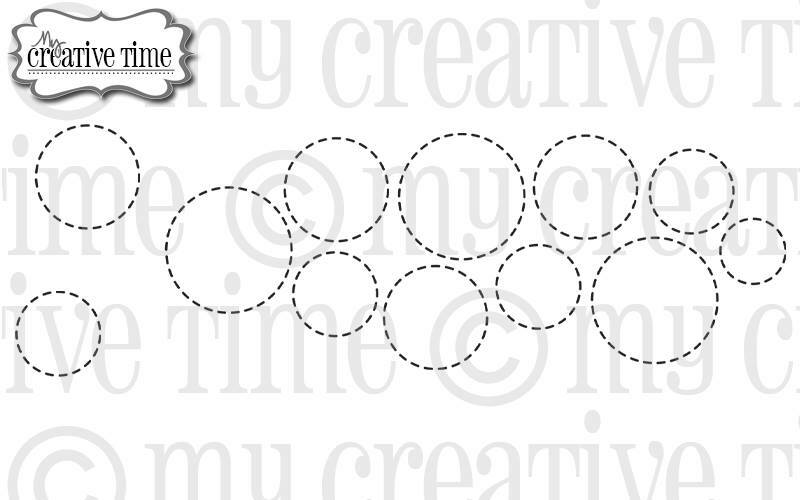 I created the clouds with a template I made using the cloud dies from My Creative Time. 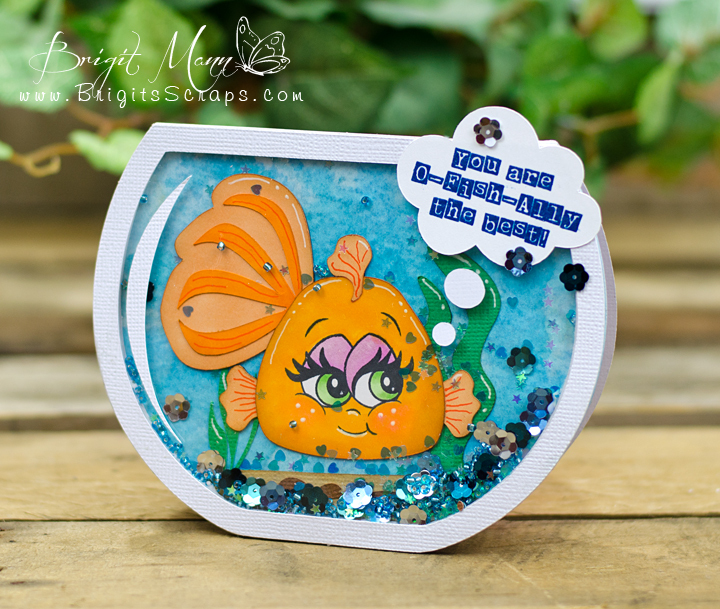 The cute face is from Peachy Keen Stamps Sweet & Innocent Assortment pack and finished up with some Orangesicle Trendy Twine. Boy I really utilized my stash from some of my favorite shops!!! Welcome to "Throwback Thursday~Do Over" with My Creative Time! This is such a fun theme, I have so many projects I would love to do over again it was hard to single one out. 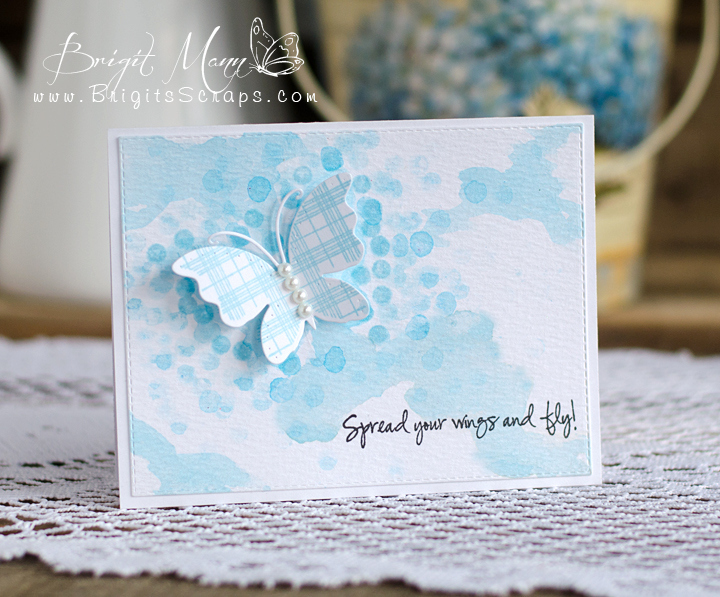 I ended up picking this butterfly card I created about a year and a half ago, I just loved the bokeh technique. I used some Strathmore Watercolor Paper and the blue from the Faber-Castell Metallic Gel Sticks to create the watercolor background. For the bokeh dots I used one of the little circle stamps from MCT's Bough's of Holly with some Tumbled Glass distress ink and the same gel stick I used for the background. 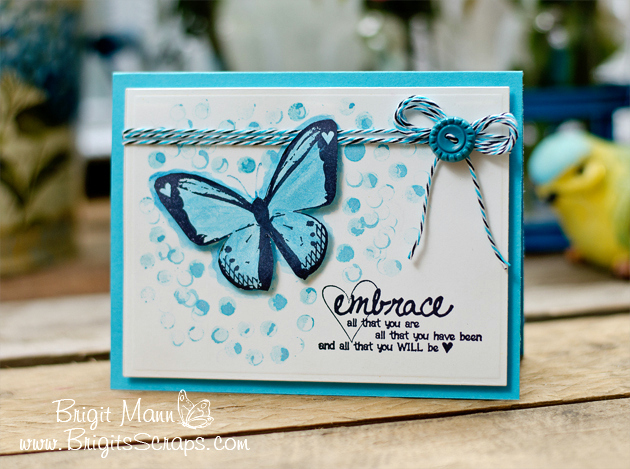 The butterfly and sentiment is from the Live, Love, Laugh & Be Happy set, cut out with the Pretty Butterflies & Dragonfly die and stamped with tumbled glass. 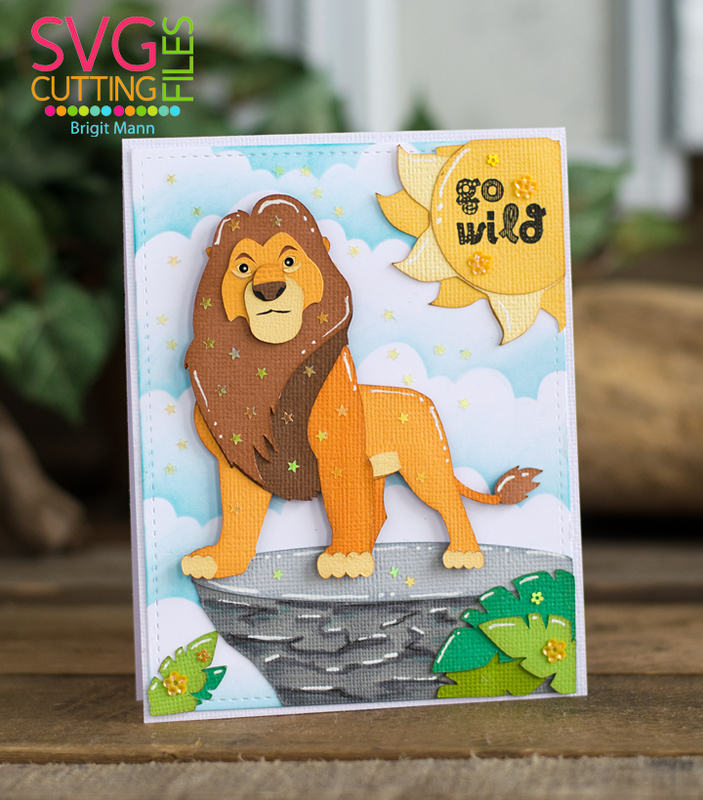 The background was die cut using the large Stitched Rectangular Frame Die. 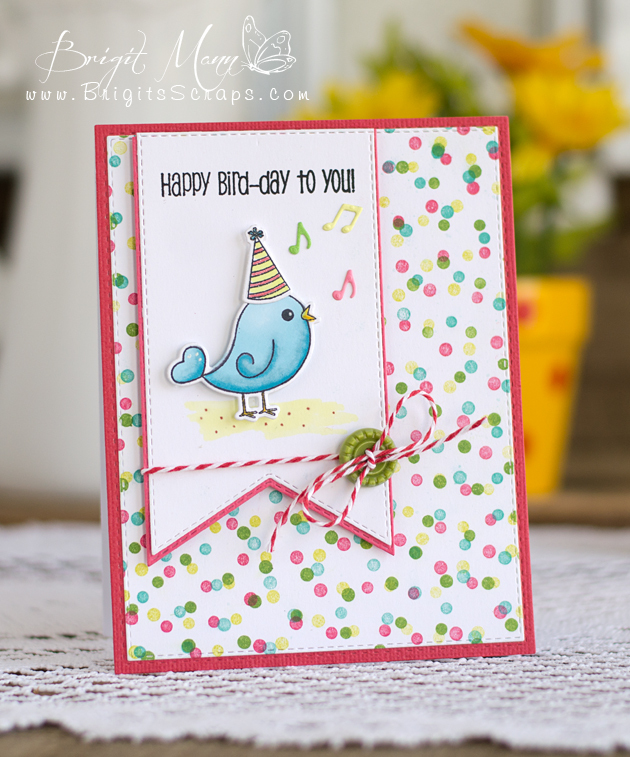 A simple card but the addition of the watercolor makes it so much nicer!! 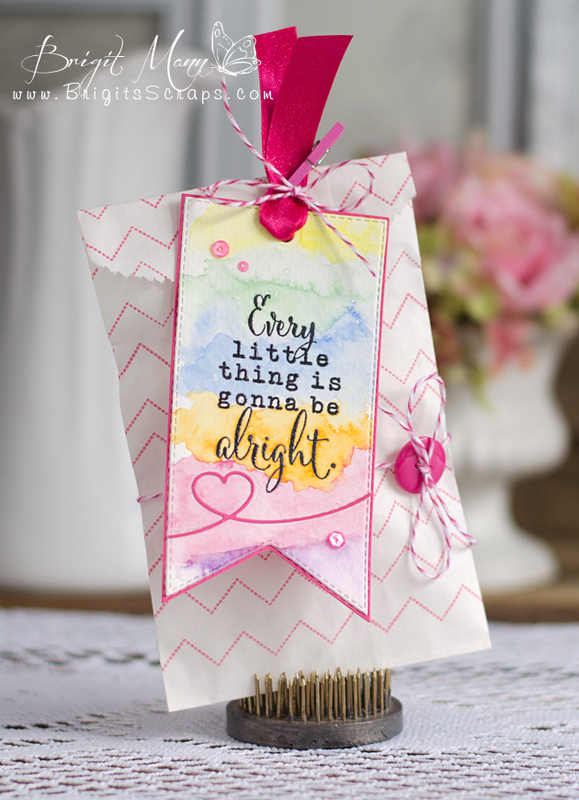 This is the original using distress ink, gel stick and a pencil eraser to create the bokeh effect. 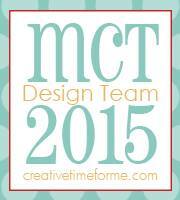 Welcome to My Creative Time 41st Release Blog Hop!! First I want to thank all of you for the wonderful comments all week!! 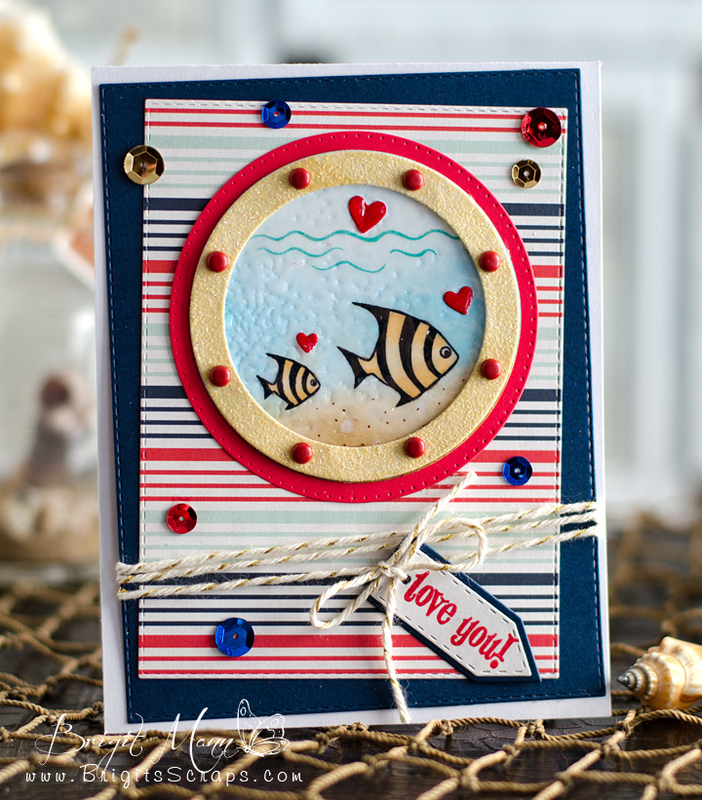 I have two projects to share showcasing the Fun Stitched Tag Dies! I love this flower from the Love You Bunches set, I used my watercolors again on both the flower and bee. 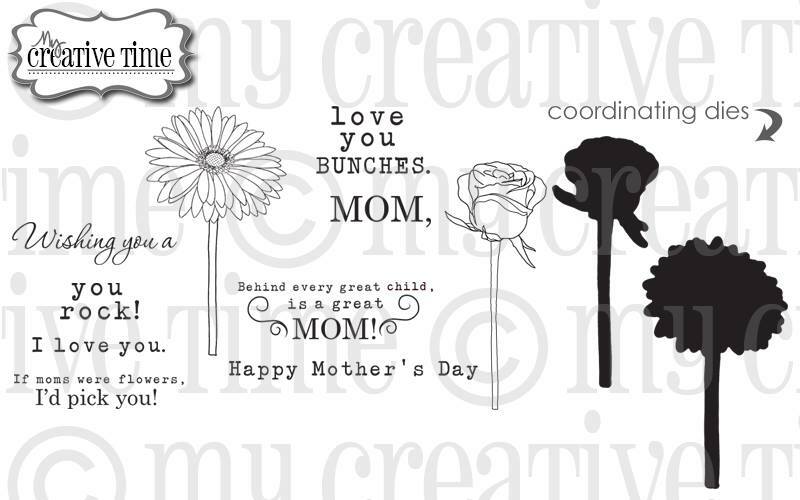 The sentiment is also from the Love You Bunches set. 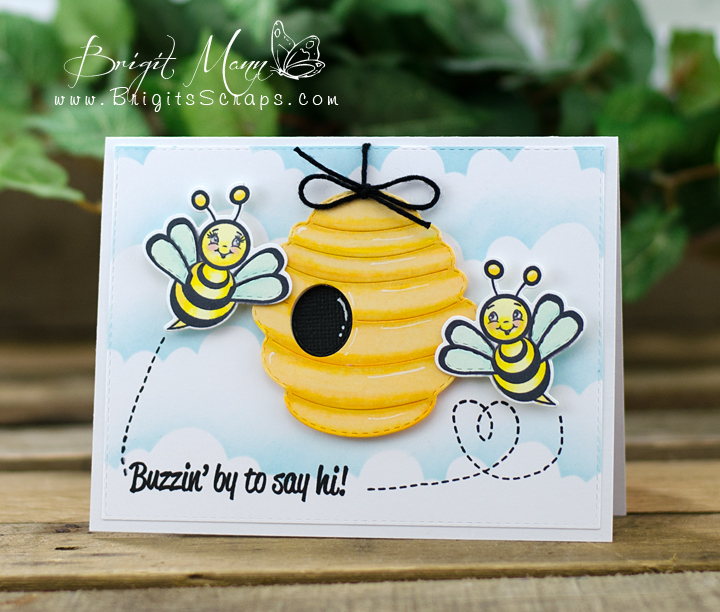 The bee is from the Stitched Bees and Beehive Die and Bee Happy Stamp Set. The two backgrounds are from the Stitched Rectangular Frame and More Dies. 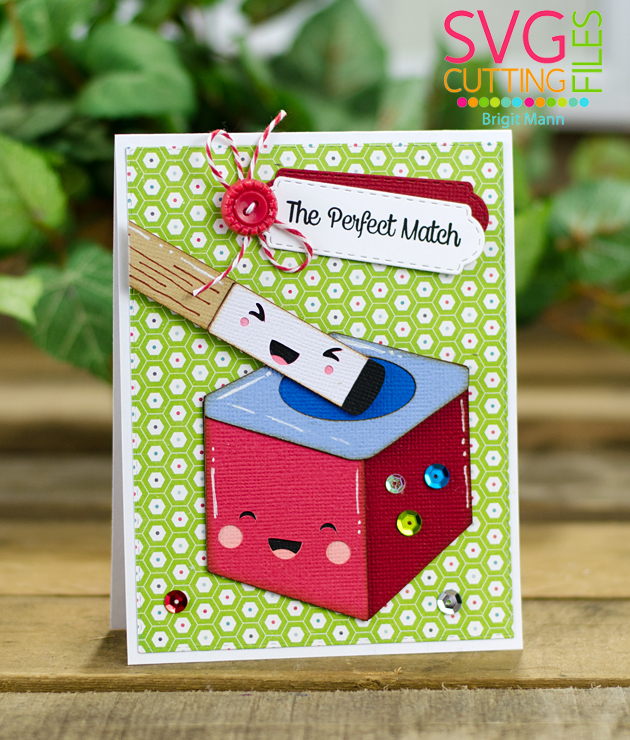 The next card is a quick and easy one using the Circle Stitched Pattern Die. 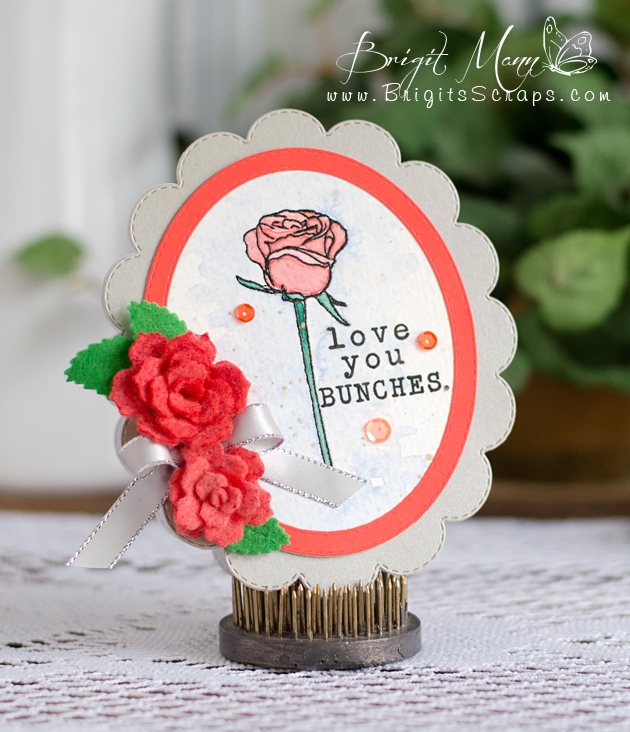 The sentiment on the Fun Stitched Tag Die is from the new Tweet Me Stamp Set. 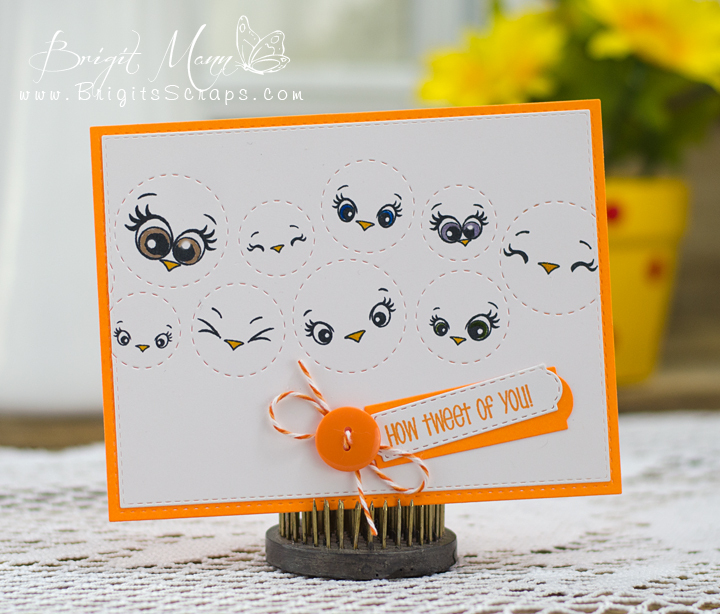 The Faces are from Peachy Keen Stamps Chickie Face Assortment Pack. Here are all the new stamps and dies from this release! Since Emma is under the weather , She lost track of the amount for the FREEBIE stamp :( Usually by noon the 150th shopper comes through, but since she lost track, she decided to give this freebie stamp to everyone who placed their order on 3/20/2015! The last order came through at 9:03pm PST & that invoice number was #15550! If you missed out on this freebie, no worries because it is available for purchase HERE! ALSO, DON'T FORGET our sale starts RIGHT NOW! Use the code: MAR2015 to receive a discount off your entire purchase! This sale applies to "IN-STOCK" items ONLY. This sale will end on Friday, March 27th @midnight PST. 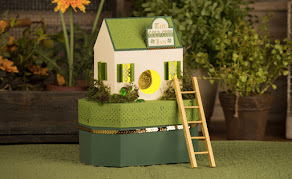 Now hop on over to Cindy's Blog to see what fabulous project she has create for us!! 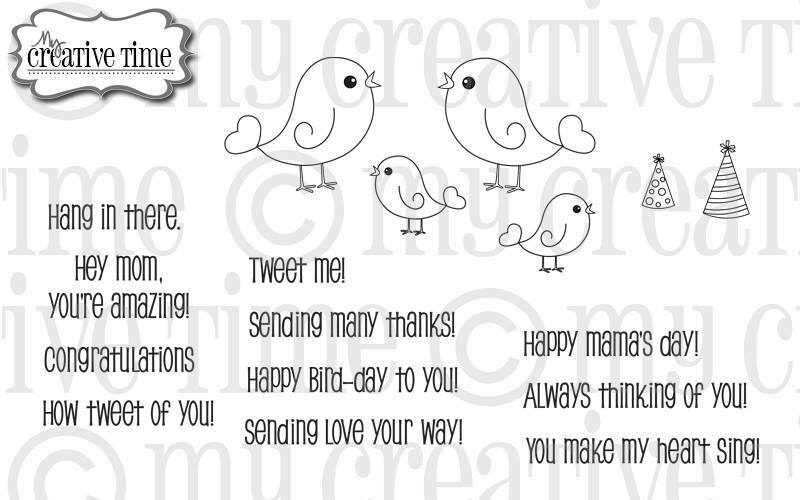 My Creative Time's 41st Release! Love You Bunches and the two felt flowers using the Jr. 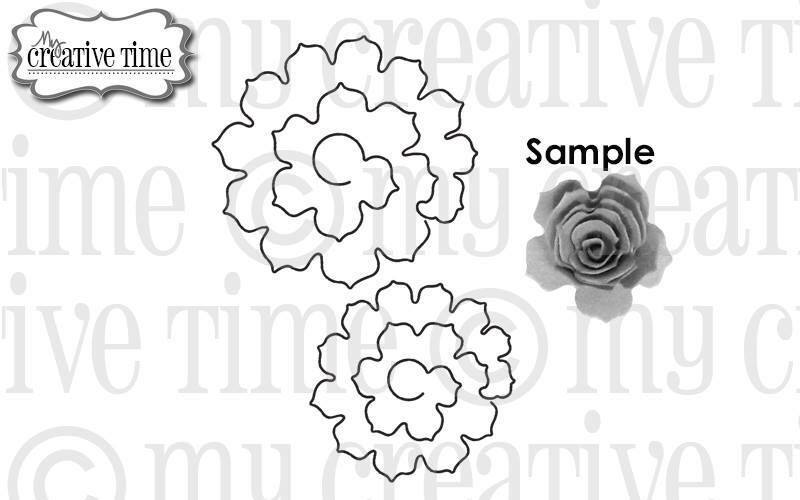 Rolled Flower Dies. I just bought the Kuretake Gansai Tambi watercolor set so I thought I'd give it a try on this beautiful stamped rose, you're going to love this set. I'm also happy that Miss Emma came out with these two smaller rolled flower dies, totally love them, I cut these from felt. 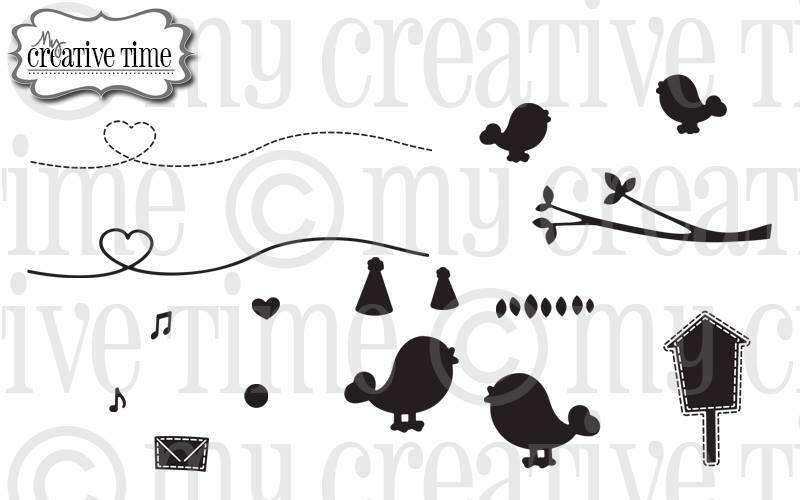 Welcome to My Creative Time's 41st Release! 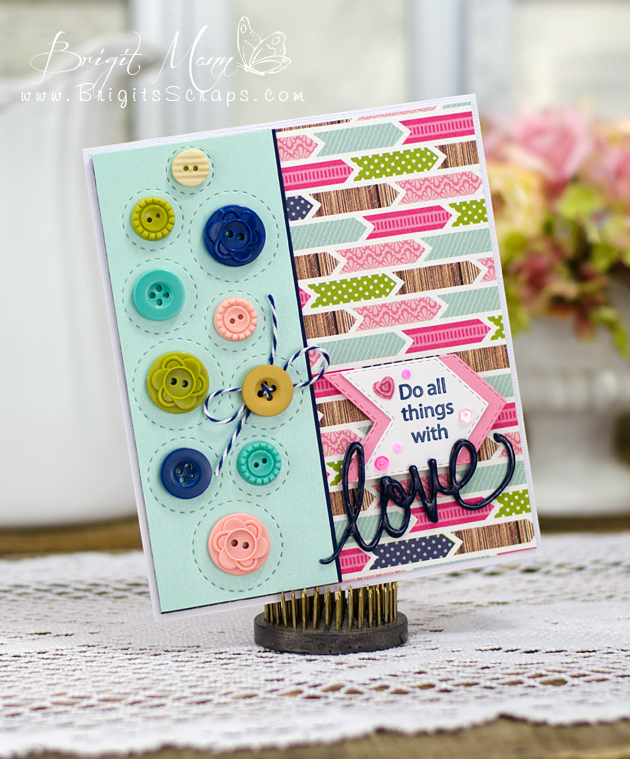 awesome Stamps and Dies in this new release!! center of each circle pattern, I have so many ideas for this die!! create a neutral project with a pop of color. at the dollar store a couple of weeks ago. and the burlap also came in the same cardstock stack. 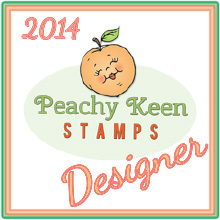 and had to make a quick card, I think they look so cute with the Peachy Keen Faces! 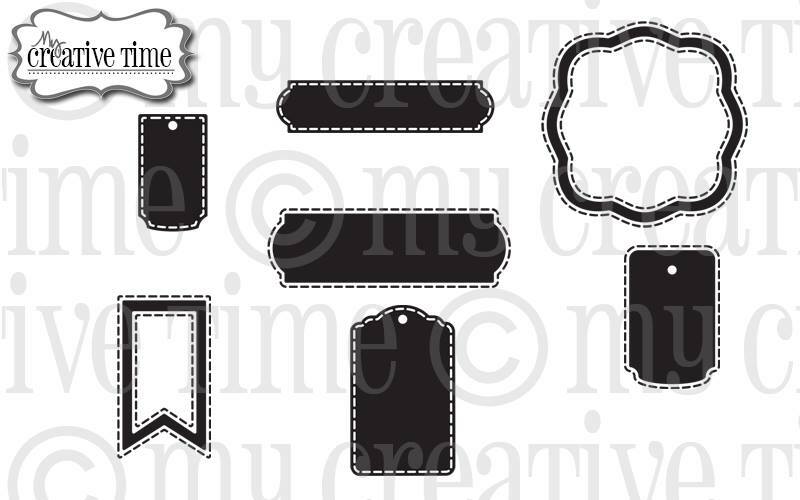 I created the background from the cloud dies, I just glued them down on a piece of cardstock and keep it as a template. I love how it comes out with Tim Holtz Tumbled Glass Distress Ink. 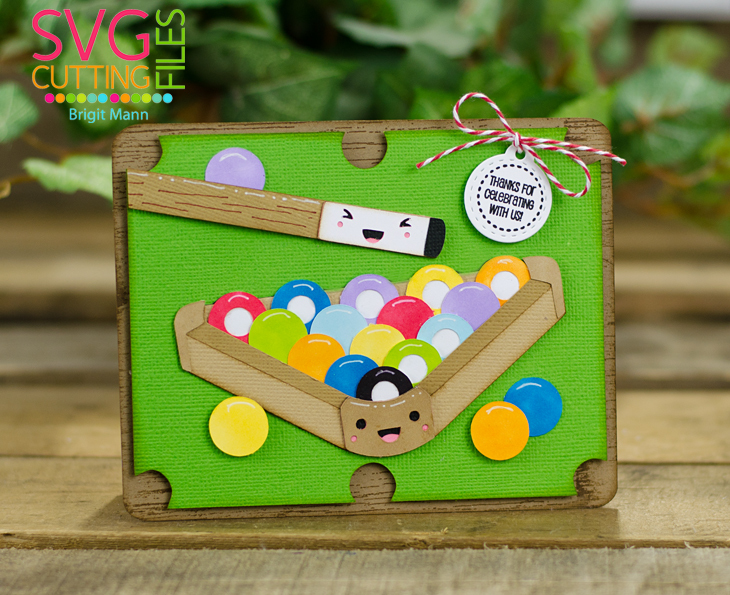 Billiards Anyone - SVG Cutting Files New Kawaii Billiards! Hello Everyone! 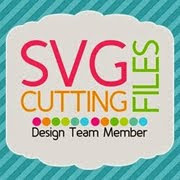 It's my turn over at SVG Cutting Files Blog! I’m showcasing the new Kawaii Billiard set, which will be available this Friday. I made three cards so you could see all the cute items in this set. First card, which I think is one of my favorites, uses the 8 ball and pool stick. 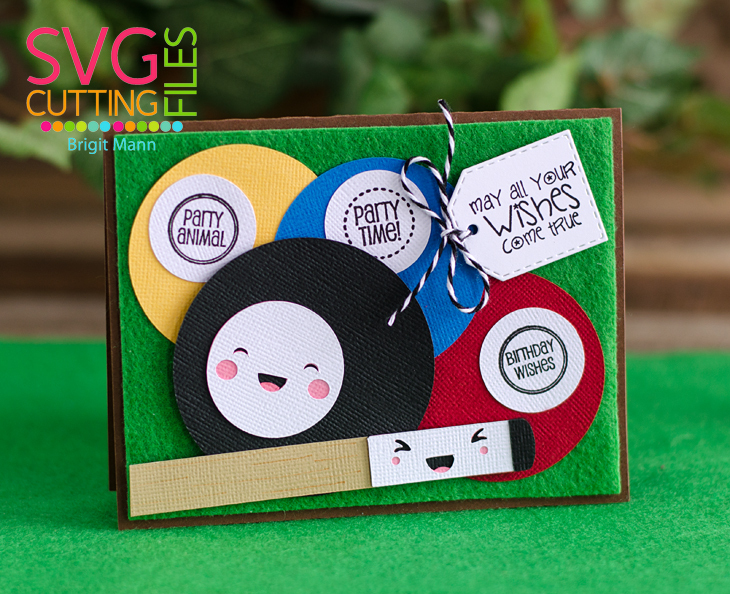 Since it’s all about billiards I though a card with a felt background would be very cute and I really love how it looks. I cut the felt using a 4" x 5 1/4" die from Jaded Blossom's Card Mat Dies. The circle sentiments are from JB's, Birthday Candies set and the sentiment and tag are from JB's Sweet Birthday Wishes and Mini Tag Dies 2 sets. 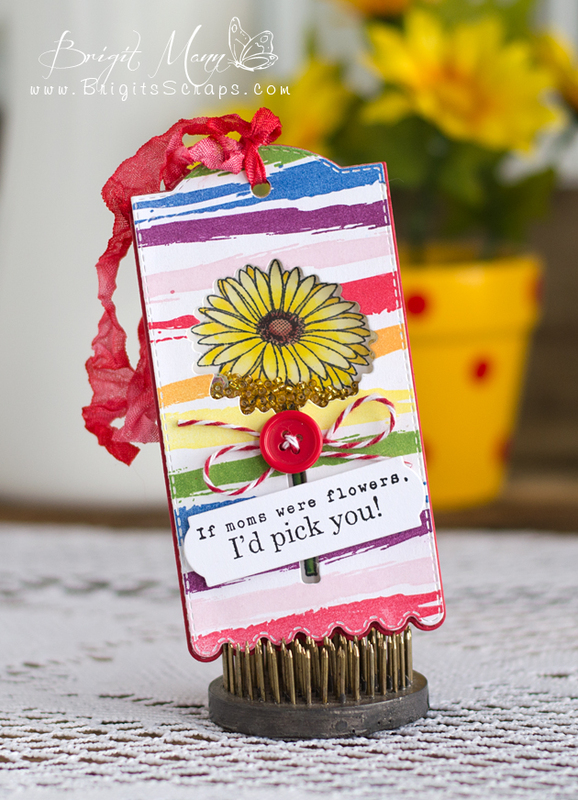 My second card uses the pool stick and chalk, so cute, sentiment and die is from Jaded Blossom's The Perfect Match and Mini Tag Dies 2 sets. Third up is the pool stick with rack, I made a quick and easy pool table background for it. Sentiment and die both are from JB’s Birthday Candies and Candy Charms & Banner sets. 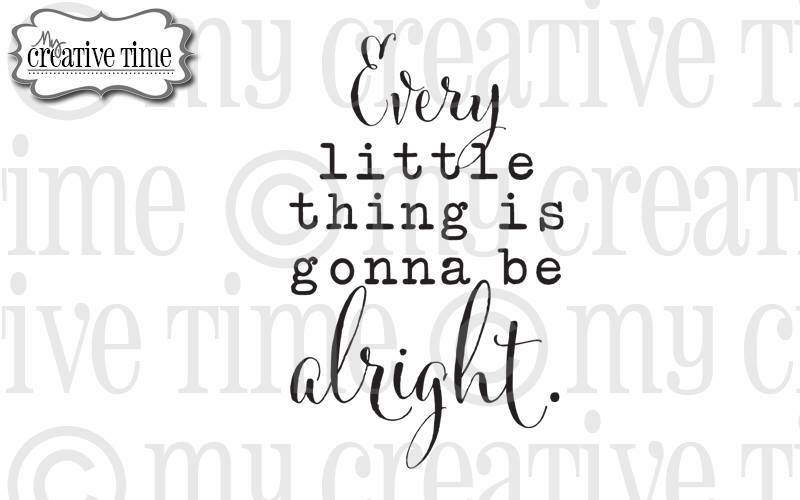 Hi Everyone, it's Inspirational Wednesday over at My Creative Time! 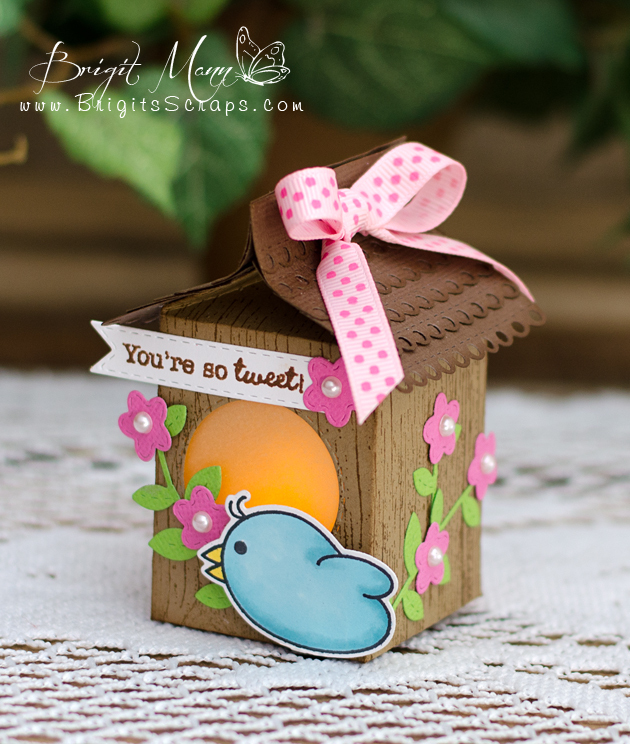 I was browsing through Pinterest and saw a bunch of adorable birdhouses made from milk cartons so I used the new milk carton die and created my own, what a quick and easy project! I cut a hole in the back so I could slide a battery tealight inside, it looks so cute lit up. I trimmed the legs off the little chickie to make him look more like a bird. For the roof I used the scalloped stitched rosette dies, I love these dies, I used them a lot for other things besides rosettes.